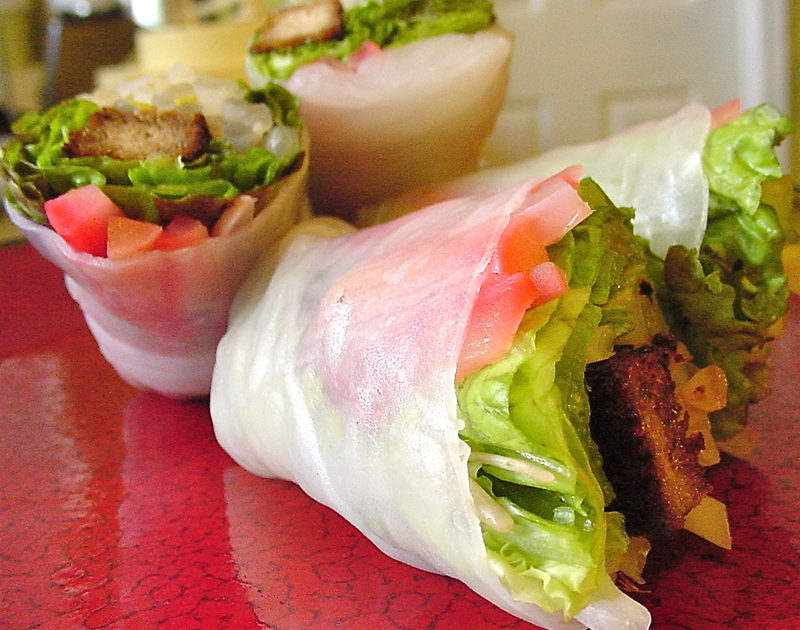 Homemade Vietnamese-style spring rolls, a summertime staple. Today for lunch I made fresh Spring Rolls, my own version of traditional Vietnamese gỏi cuốn. ...just lay the ingredients on softened rice paper and roll up tightly. Usually these are served with a dipping sauce, but the vegetables were so fresh and moist that I decided a sauce would be unnecessary. And it was. These were crispy, savory, and tangy-sweet all at once.